The large round basket with the chalk board label is from Target. I call it my "Crap Basket", this is where I throw anything that does not have a permanent home. I added a little chalk board to this little basket. It's the perfect home for KEYS now. 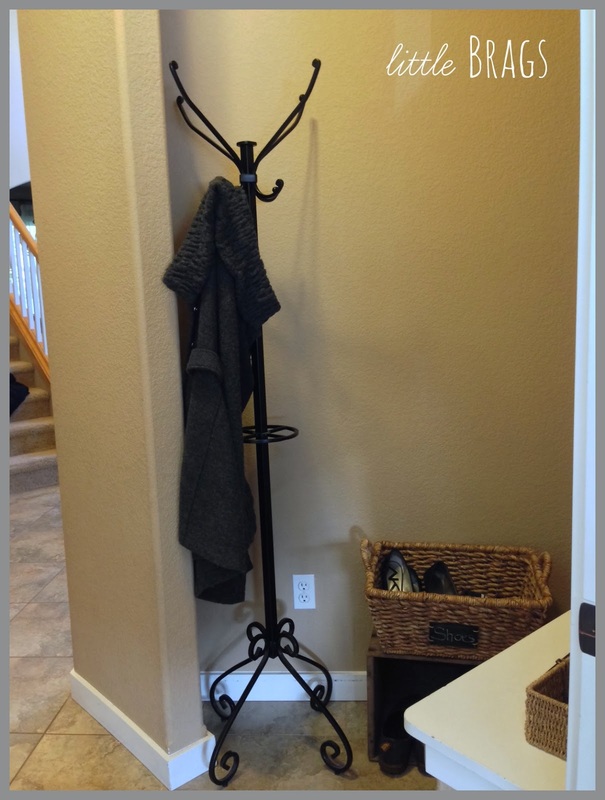 This wall next to the coat rack is still naked and needs work. I am keeping my eye open for some cool storage solutions here. Here is a little shoe basket sitting on top of an old crate for some additional shoe storage. I know this area still needs more work, but it's a good start. I am not a blogger who shares things only as they are 100% done and perfect. Everything is work in progress around here. looks great Christine! Our entryway is small too and it encompasses the front door and the door in from the garage all in one...I am forever putting away shoes...and my kids are 19 and 24!! I keep thinking one day it will be nice and clean...but then I think - that's when there will only be 2 pairs of shoes by the door...and I'm not ready for that to happen just yet! Nicely done! Hope it stays fabulous for you - something to be proud of, indeed. It will happen one day Christine...probably when your kids are grown. Right now I think it is neat! I would call it a mudroom. I think of that as being any space you enter initially where you drop those boots and coats and move on. YOurs looks fabulous my dear...as always. It looks great Christine! Those are the areas that some never seem to be neat enough... I know my crew would have a mess made of that in no time but it sure would enjoy it for a while...Love all your decor ideas... have a great Sunday! Blessings! I think it looks great already! 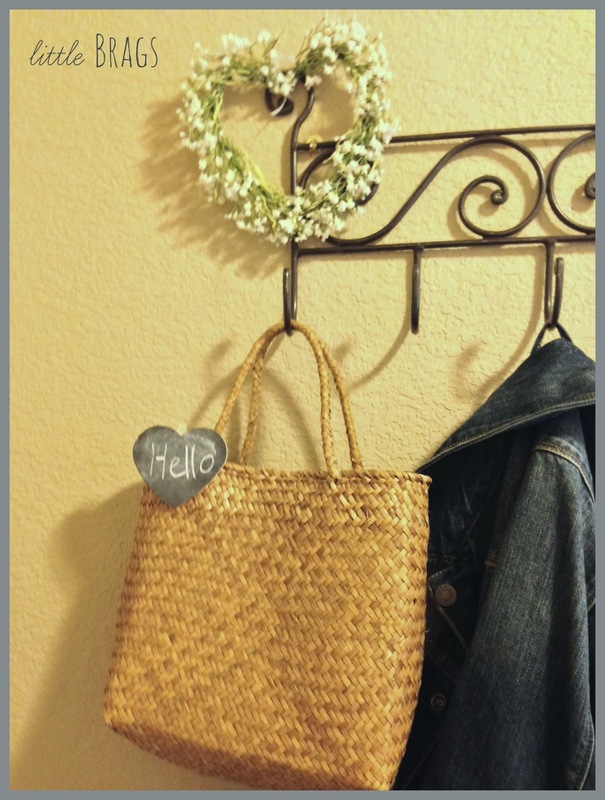 The basket for stuff is a good idea and the little sign is sweet. Looks great I also have a tiny mudroom when you first walk into the house that I cleaned up cause got tired of waiting for hubby to do it. Again great job!!!! I like the direction your're going in that little space next to the door. That's a great use of space there. I love the inspiration pics you shared as well. 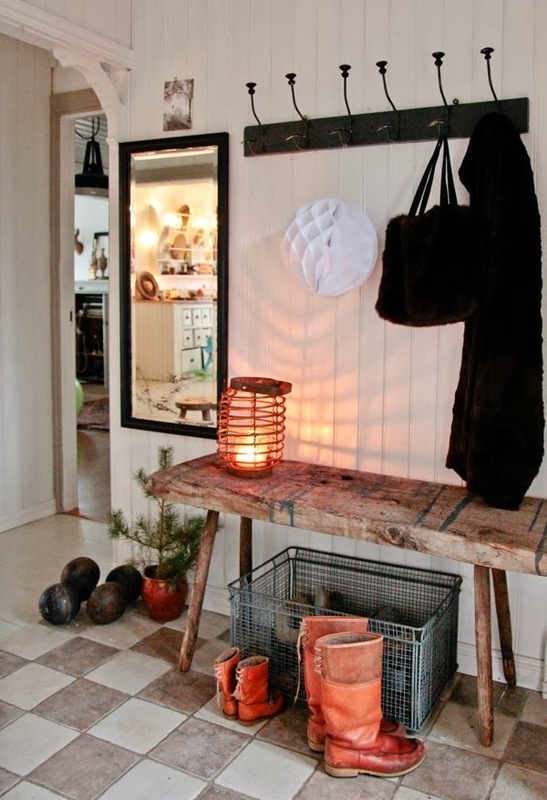 I don't have a mudroom either and I really wish I had one. My next house will though (hopefully)! Looks great, and our house is always a work in progress and not 100% perfect. If so, there would be no re-decorating for me to do, and that's what I love! 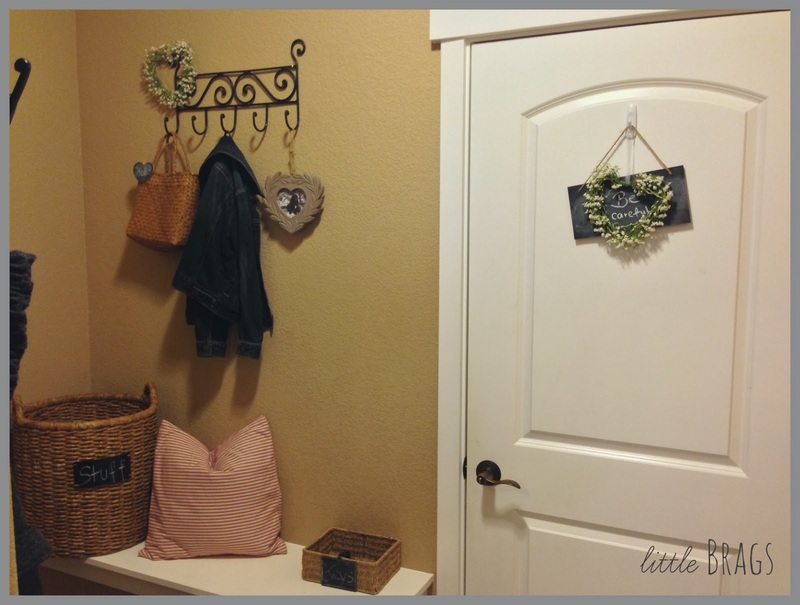 I love the mudroom area you created! You did a great job organizing and making the most of a small space. 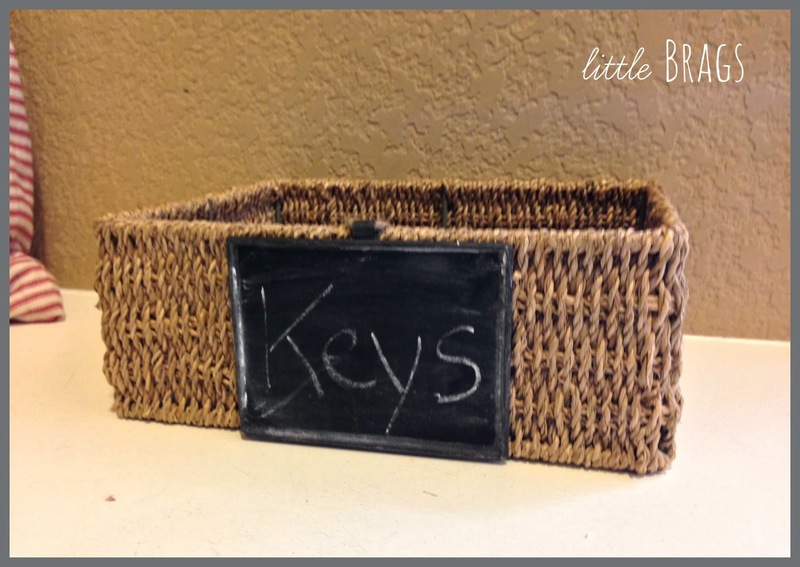 Really love your baskets with the chalkboard signs. 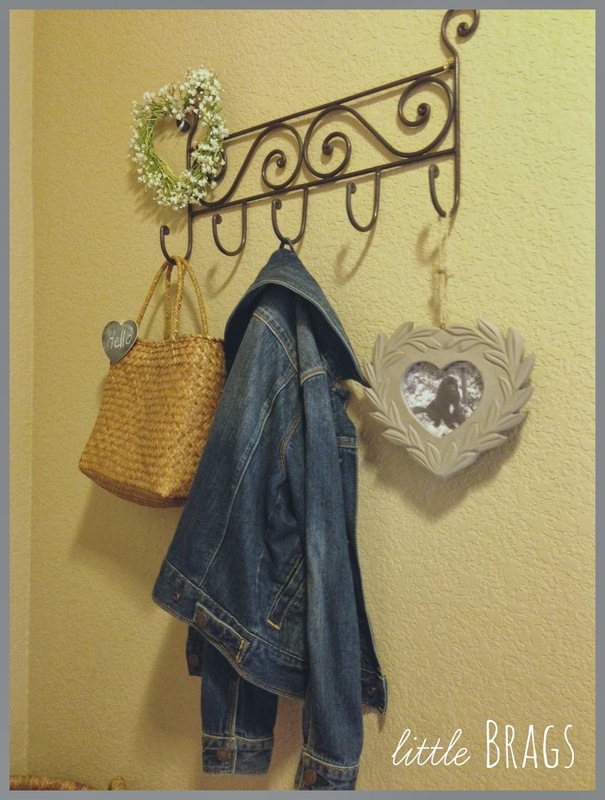 I love your mudroom! What a great way to be welcomed to the home... And your message as you depart is so precious!! thanks for letting me know I was a no-reply blogger!! Great ideas! I'm your newest follower from Wake up Wednesday linky! Your mud room is well on it's way. Remember, the best decorating takes time and layering. I think all decorating is "a work in progress" or atleast it should be. Your style and tastes are always changing, and that should be reflected in your home as well. I'm always switching little things around in my house. My kiddos often come home from school and right away notice the smallest change, like I relocated a pillow or swapped out a decoration. Anyway, I love your mudroom. So cute! I giggled out loud about the crap basket. I have a crap room. 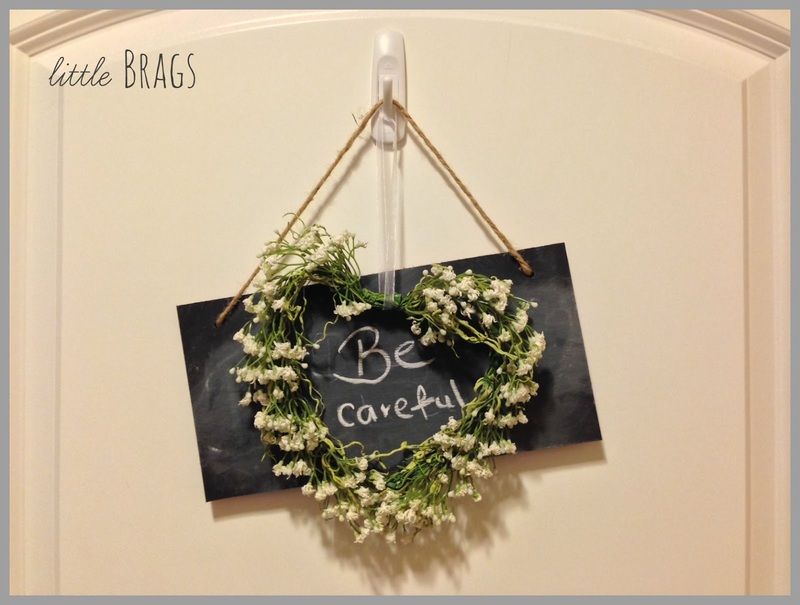 lol Thank you for sharing it on our Four Seasons Blog Hop. Pinning now. Stopping by from "From the Farm" you little back entrance has a lot of good storage solutions for its size. Aren't all the chalkboard things out there fun! Your entry looks so pretty and organized. 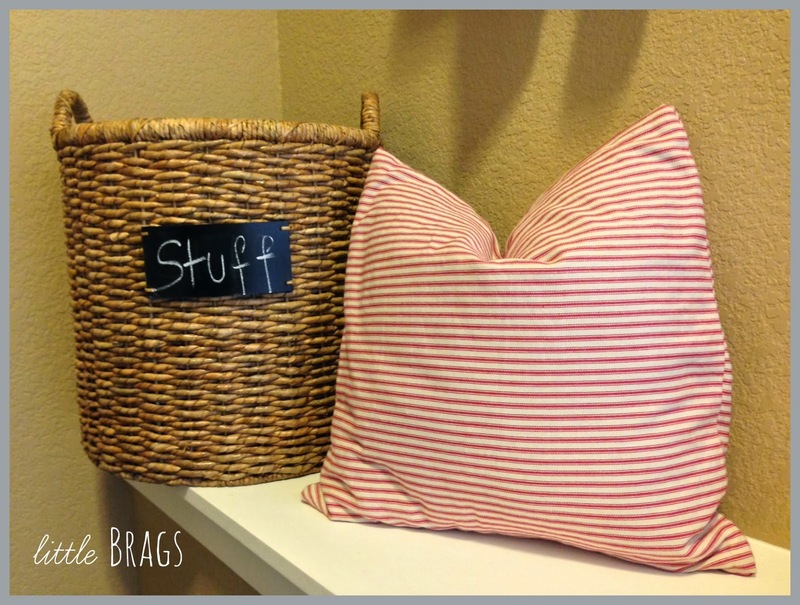 I love the baskets with their chalk labels, and that ticking pillow! Thank you for sharing it at What We Accomplished Wednesdays. Have a great weekend! I love how well you utilized this little space. Those Target baskets with the chalk board are the best! Thanks for linking up again to the Thursday S.T.Y.L.E. Link Party! 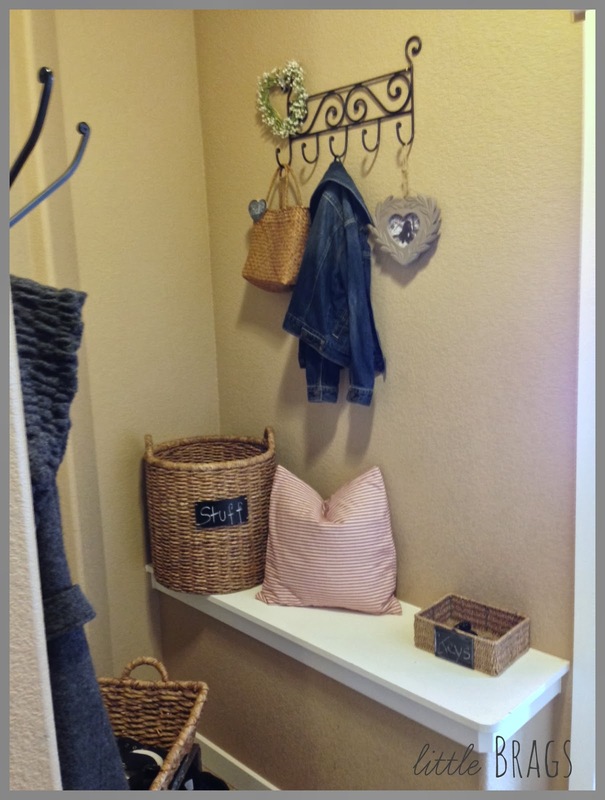 I think your little mudroom nook is adorable. You have done a lot with a small space. Thanks for sharing at TTF! I love what you've done with your nook already! You have really maximized the space! Thanks so much for sharing at Hit Me with Your Best Shot! Have a great week! Hi Christine! 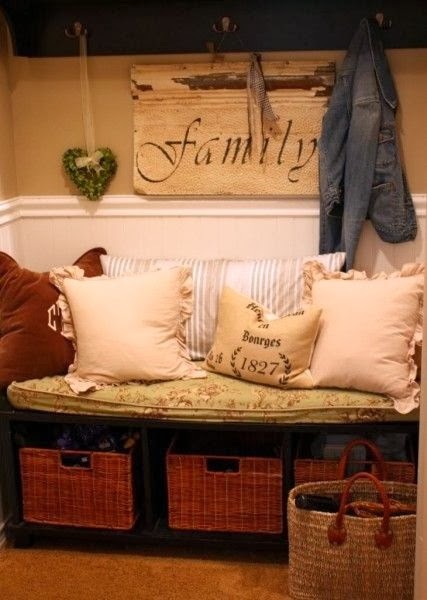 I love how you have organized and decorated this space and I really love your "crap" basket - oh I need one!!! Thank you so much for sharing with us at Best of the Weekend and pinned! Hope you have a happy week! Yup, a little at a time and it will evolve into what you want. I love the baskets. I always nab ones with chalkboards or numbers. Too cute to resist! Thanks for sharing with SYC. Awe, so darling! I wish I had a mud room! Maybe in my next house. Thanks for sharing on Worthwhile Wednesdays. Hope to see you again tomorrow at the link party! Looks awesome! You do a great job of putting everything together so well. 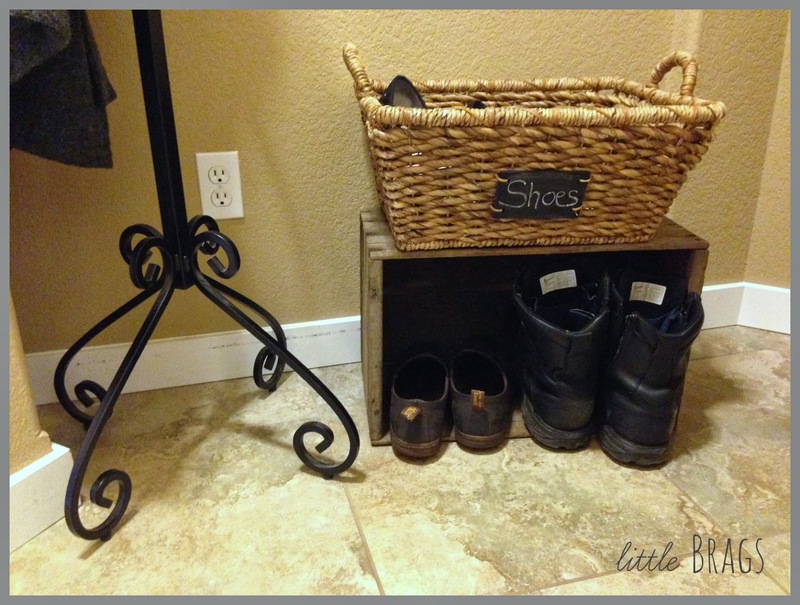 I really like your mudroom! It looks very nice and organized. I love a good organizing update!